1. 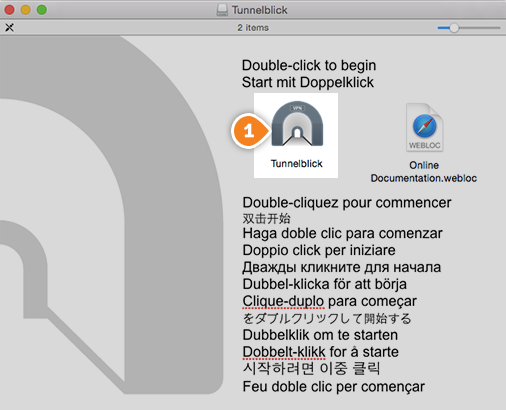 Mac OS 10.7.5+ Users - Download the latest version of Tunnelblick and install it. 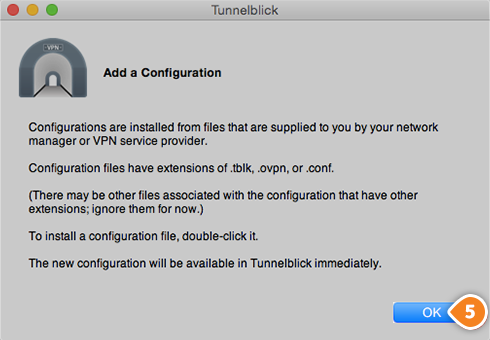 Mac OS 10.4-10.7.4 Users - Download an older version of Tunnelblick from the 'For use on OS X 10.4 - 10.7.4' section of the Deprecated Downloads page. 2. Click on “Open” (2). 3. Then click on “Launch” (3). 4. 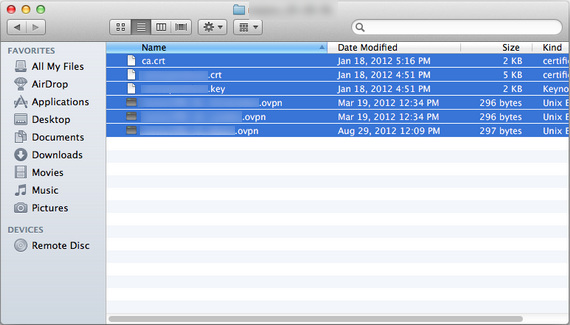 Click on “I have configuration files” (4). 5. Then click “OK” (5). 7. Now you will have to download the config files, then to unzip the downloaded file. 8. 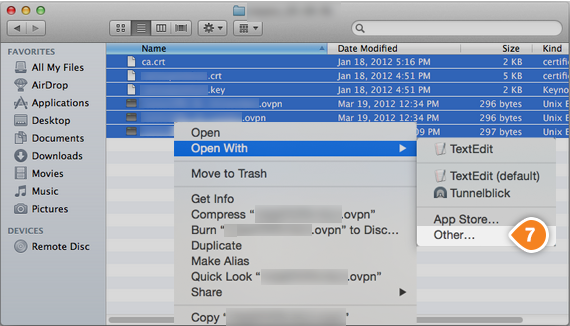 Right click on the config file you want to use, then click on “Open With”, then click on “Other…” (7). 9. 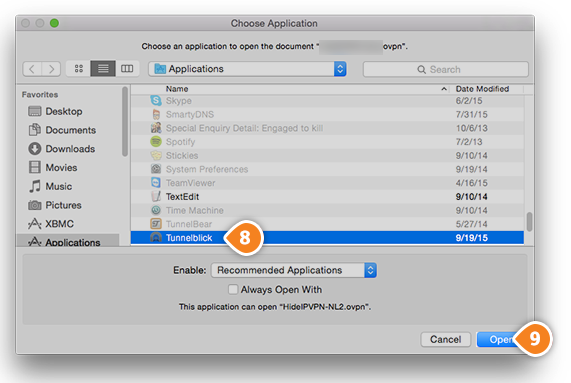 Choose “TunnellBlick” (8), then click on “Open” button (9). 10. Run Tunnellblick and connect (10). 11. In the username (11) and password (12) fields type your VPN username and password, then click “OK” (13). The connection will be active as long as you don’t log out of your computer. 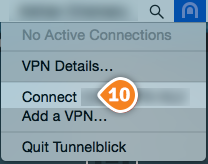 Tunnelblick’s will attempt to re-establish the connection If your computer will turn to sleep mode or will lose the contact with the server. To disconnect, simply right click on the OpenVPN server you then choose “Disconnect”.